Whether Valentine’s Day is something you’re looking forward to sharing with your partner, a date that you couldn’t care less about or a day you and your friends get together, here are a few lovely ways you can spend Valentine’s with your little ones. There’s something really special about receiving and giving a homemade card. Show some love and write a heartfelt message to your parents, grandparents or someone important to you that would be so happy to hear from you. You can always make a keepsake card for each other too! So, get creative with your pens, paints, photographs… head over to Pinterest for some ideas, inspiration and cute quotes if you’re stuck. The main thing is it’s from the heart, so you really can’t go wrong. …do we really need Valentine’s Day as an excuse to make and decorate cookies? We really can’t think of a better way to spend a cosy (slightly sticky) afternoon or morning with your little one. You can pick up heart-shaped cookie cutters in the pound shop and even use them to make special sandwich shapes at your very own indoor tea party! Pick a time close to Valentine’s Day to gather the friends that have supported and encouraged you throughout the year. Celebrate your friendships by doing something fun and sharing why they mean so much to you. Making their day will surely make yours, too! Do something different and unexpected. Bake some extra cookies or gift chocolate to a local nursing home or nearby women’s shelter, volunteer your time or even do a random act of kindness. Get a massage, a facial, or a pedicure – solo or with some girlfriends. Make yourself feel special and pampered because we know you totally deserve it! There’s loads of online deals and vouchers you can use to save yourself some pennies. If they’re out of your budget, there are plenty of shops on the highstreet that sell face masks, bath bombs and other treats that you can use at home. We love a pamper! Have you been meaning to explore somewhere new and exciting? Planning a special trip to somewhere you’ve always wanted to visit or arranging to stay with a friend or family near or far could be a good plan. Valentine’s Day falls in the school half term so that’s perfect if you want to make a day or two of it with your little ones. Is there someone you know going through a really tough time? Maybe you can cook and share a meal together, catch up on the phone, meet a single mum or dad you know for a park play date, there are so many little ways we can show that we care! Picture this – a comfy sofa, a big blanket and bowl of popcorn, you and your little one’s fave Disney film and snuggles. If you need some ‘you’ time, you could always invite a friend around and chill out together. 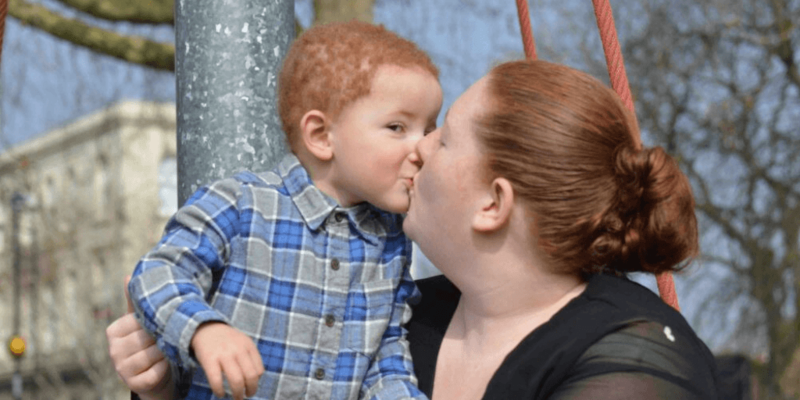 As our Young Parent Ambassador, Leigh, reminds us, “Trying to work out everything is quite hard as a single parent.. but there are some good sides to it as well… you get all the cuddles and the kisses.” Let’s make the most of all those precious moments before they grow up! Fall In love… with yourself! So…have a think about what you love doing! Valentine’s Day is a great time to pick up a new hobby or passion (or to re-commit to your New Year goals!) So swim, hit the gym or grab your apron and enjoy life’s little pleasures.